One spray under the tongue for the first three days. Then build up to three sprays per day. 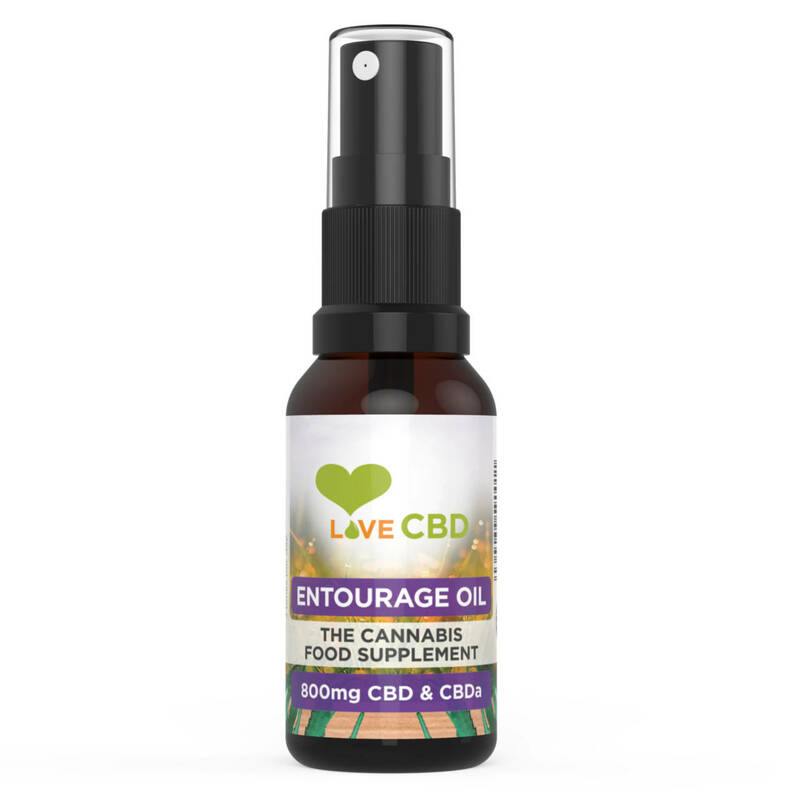 Each bottle of Entourage Oil contains a full array of cannabinoids, including CBD, CBDA and CBG. It also contains a large number of terpenes. Terpenes are the compounds in cannabis that cause the famous cannabis aroma: they’re basically cannabis essential oil.